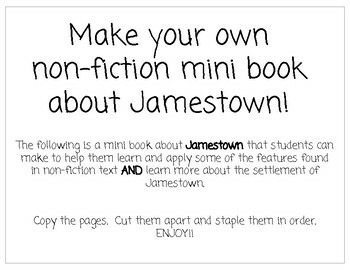 This mini book combines non-fiction information about Jamestown with non-fiction text features (photographs, glossary, maps, etc.). 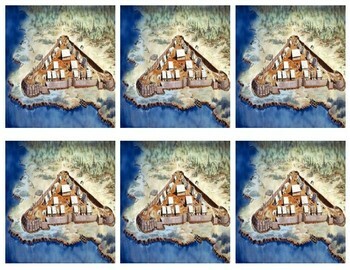 It's a great way to combine both history (social studies) and reading. 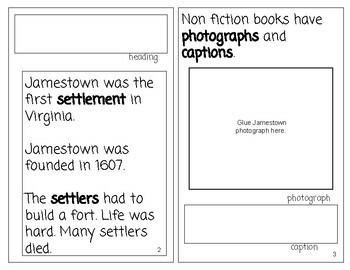 It's a good start to learning about the text features. 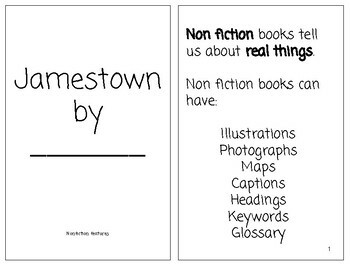 The children enjoy making their own non-fiction book!